This month marks Marcos Stafne’s first anniversary as director of Norwich’s Montshire Museum of Science. 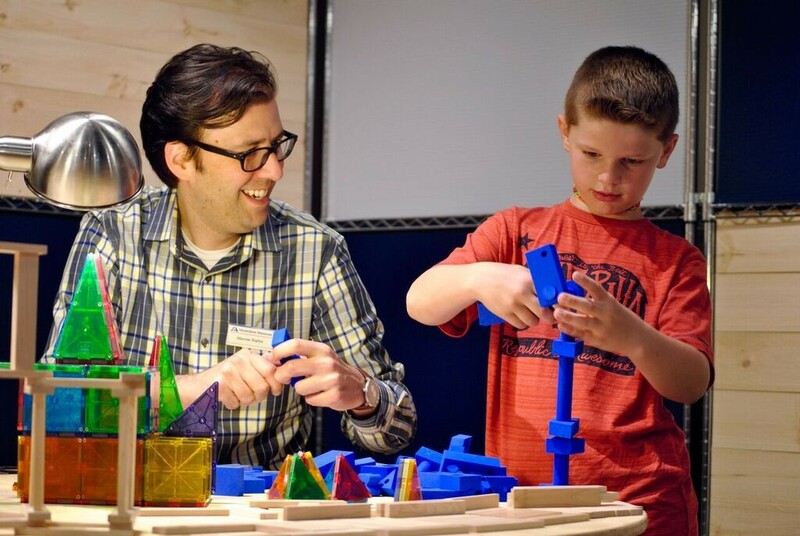 Since relocating to White River Junction from New York City, where he was vice president of programs and visitor experience at the venerable Brooklyn Children’s Museum, Stafne, 38, has put down Upper Valley roots. In Vermont, he's already become known for his outgoing engagement with the community. 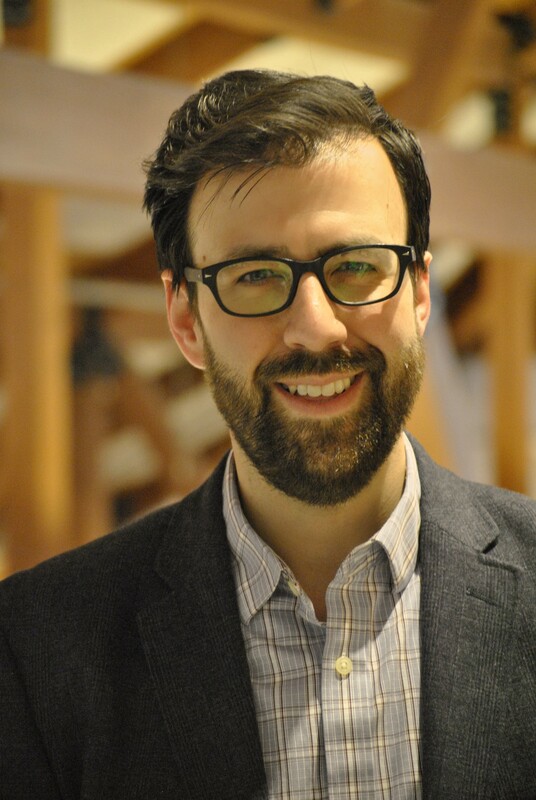 Stafne's lively online essays, collectively titled “Marcos at the Montshire,” reveal him as an inquisitive polymath who loves to guide people along the path of science education. Early one morning, well before the Montshire opened, Stafne spoke by phone with Seven Days about his background and his first year at one of Vermont’s most prominent museums. SEVEN DAYS: How did you first get interested in museum studies? MARCOS STAFNE: I was one of those kids who thought it would be interesting to work in a museum. I'm from Orlando, and I grew up with the amazing Orlando Science Center. I have a theater background, and had gotten a great job as a stage assistant at Universal [Studios theme park in Orlando]. I worked on the Wild West stage show and "Alfred Hitchcock Presents" as a technical assistant. A lot of that job was actually with the public, explaining the science behind movies. A friend had gotten a job at the planetarium at the Orlando Science Center and told me about a job opening to do "program presenting." I applied, got in, and worked presenting programs about reptiles and amphibians, about simple machines. They had really great live demonstrations. Over the course of five years there, we really developed that program to use theater as an interpretive tool to get people excited about the [science] content. SD: How did your experience at the Brooklyn Children's Museum prepare you for your position at the Montshire? MS: It's such a great facility, such a beautiful place. It's a unique place that has molded to the concept of "childhood" over a century — I think I got to celebrate its 115th anniversary when I was there. Our perception of childhood has changed over a hundred years — we don't think of children the same was as we did in 1899. For many children in Brooklyn, [the museum] was their first experience with science. It was a really great place for the blending of arts, culture and science. Many kids had their first epic experiences there with all those things. SD: Moving from New York City to the Upper Valley must have been a major adjustment for you. MS: That's the No. 1 question people ask me! I grew up in rural Florida and went to college in Winter Park, which is kind of like Hanover [N.H.]. I grew up going to an outdoor school where all the doors opened to the outside. There was only one door between you and nature at all times. [Here in Vermont], I love the quality of life. I love nature, being able to go hiking. There's a very different quality of life that's unique to the Upper Valley. It's just this incredibly compassionate, small, tight-knit community. The more I talk to different age groups, I see that the people who choose to live here really do love it because you have a voice in your community. That's not necessarily true in New York City, where you have to have the loudest voice and have to devote your entire energy to speaking up. Here, you can do that and people will listen. I get to see [museum employees and patrons] in their professional lives and their personal lives, and that's what living in a small community is really about. You get to know the people at a deeper level. It's very healing up here. You feel like a very different person. You get to be a little more human. SD: Would you say more about your career in public science education? MS: I studied theater, and I'd like to say that I was the best actor in the world, but I was a way better production manager. That part of theater — getting the show up and running, getting everybody together — has been one of the most useful things I have gotten from theater. The Rubin Museum is a museum of Himalayan Asian art — it's highly ethnographical and cultural. The anthropological side of things was really what we had to delve into. Often to describe the art, we had to describe the science behind it. I did not think that would be the case when I first got the job there. But the majority of people who work in art museums are scientists. Conservators, for instance, are real technicians who are thinking about the molecular breakdown of a painting. The throughline has always been about communicating how stuff works and getting people excited about their world. I like to get people really excited about being curious. SD: What are your plans for the short-term future of the Montshire Museum? MS: We're developing that plan as we speak. In 2012, we launched "Montshire 2020," an introspective look at what the museum does best. We developed a core value system that we use as a strategic filter for anything we do. It was a very thoughtful process, and very helpful when I came in as executive director. For the next four years, we have rather ambitious internal exhibitions planned. And we relaunched our bubbles exhibit [Bubbles: Science in Soap], which I think is the best bubbles exhibition in the entire country. (I can speak from experience — I've been to many bubble exhibitions!) We're working on an innovative exhibition called Making Music: The Art and Science of Musical Instrument Design. We're also really taking a look at our 100-acre landscape and campus. Maximizing our seasonal use of those 100 acres is something we're really looking at carefully. SD: Which of the exhibits that you've overseen has been the most personally significant to you? MS: It's [an ongoing] exhibition called Human Plus: Real Lives + Real Engineering. It's about what makes us human and how we use technology specifically to advance our human abilities. It's really meaningful. If we're replacing a foot with a prosthetic, we're not replacing it with an identical replica of our inefficient foot. We use a piece of metal or something stronger. SD: When you wrote "Science is an ADVENTURE," what did you mean? MS: When I was 19, I was doing an exhibit about dinosaurs. My employers said, "Marcos, you're not a paleontologist, but you could play one, and we bet you could be a better communicator about that if you studied paleontology." So they put me on a plane to Arizona, where I did moldings and castings of Precambrian footprints. That whole experience was so mind-broadening to me. If you need to learn how to do something, you just go out and do it! It was adventure in itself. Just going outside — hiking or kayaking — you feel the wonder of nature left and right. You're changed a little bit. That's what adventure is. It's a real, heightened experience. I think that when you're in a science museum, your experience is heightened, too. I'm thinking about our bubble exhibition, where kids are making bubbles, but not in the same way they're making bubbles at home. You create in your mind this whole adventure, and all of a sudden you're changing your entire atmosphere, your environment.